I'm not against wearing makeup at all. In fact, I love applying product and watching it transform my skin, brows, and lingering under-eye circles. But I do hate putting it on during the day, especially in the early morning, and choose to opt out most of the time. I like my skin and feel empowered by the fact that I don't shy away from a bare face, because after all, it's tough out there for a woman and her natural features. Usually, I'll do my (semi-complicated) skincare routine, apply a bit of lip balm for moisture, and head out the door. But then there are days when I want to feel especially polished, or more often, I'll have to apply makeup to photograph for a piece I'm writing. In those cases, I always do the same routine using a few of my favorite no-makeup makeup products. Each one offers a really good formula and very little fuss and is easy to apply either in my bathroom mirror or at my desk. Below, find all those aforementioned offerings, in order of use, and exactly why each works for me. My skin is relatively unproblematic (though I work hard to keep it that way), very pale, combination in type, and can get puffy or sallow-looking without enough hydration. My under-eyes are my biggest thing, so I always keep a concealer handy and look for formulas that'll plump fine lines and stay out of creases. After tons of research and exactly seven years in the business, these are the products that have consistently floated to the top of the pile. Keep scrolling to read about each one. These little gems are a new addition to my routine, but they are so handy. 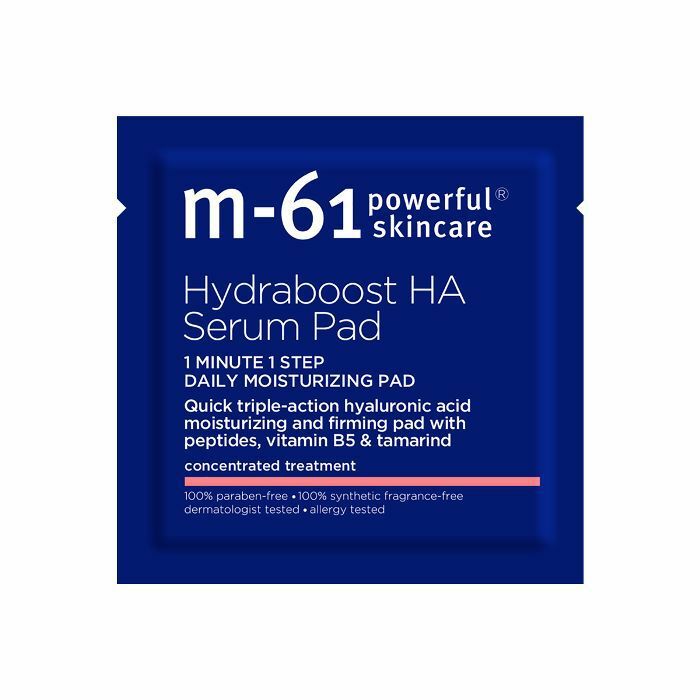 Rather than carting a serum bottle around with you everywhere you go (I've done it), you can throw one of these travel-friendly, individually wrapped pads in your bag for any hydrating needs you may have. For me, I like to apply makeup with a really moisturized, plump base so it glides on and blends out really easily and nicely, allowing natural dew to come through in all the right spots. Before applying makeup, I give my skin a quick swipe and watch it start to shine. The triple-action hyaluronic acid complex helps amplify your skin’s natural hyaluronic acid levels and bind moisture, so your makeup sits flawlessly on top. In fact, in a clinical study, 100% of the participants saw increased moisture in their skin for 48 hours after one use. Seriously. 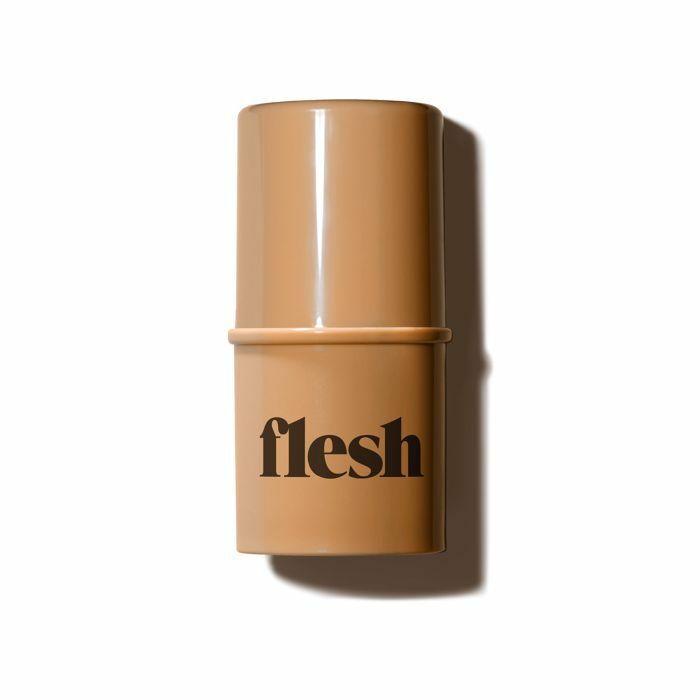 After rubbing the hyaluronic acid serum into my skin, I dot on Flesh Firm Flesh Thickstick Foundation ($18), only in the spots I really need it. The formula is thick and a little dry (hence the HA serum beforehand), but once it's blended, it is so incredible. A little goes a long way, so it'll last forever, and it's a perfect color match for my skin tone. I apply it along my inner cheeks (where I often have redness), down the bridge of my nose, in the center of my chin, and in one quick swipe along the middle of my forehead. Then, I use a damp Beautyblender to blend it all out. 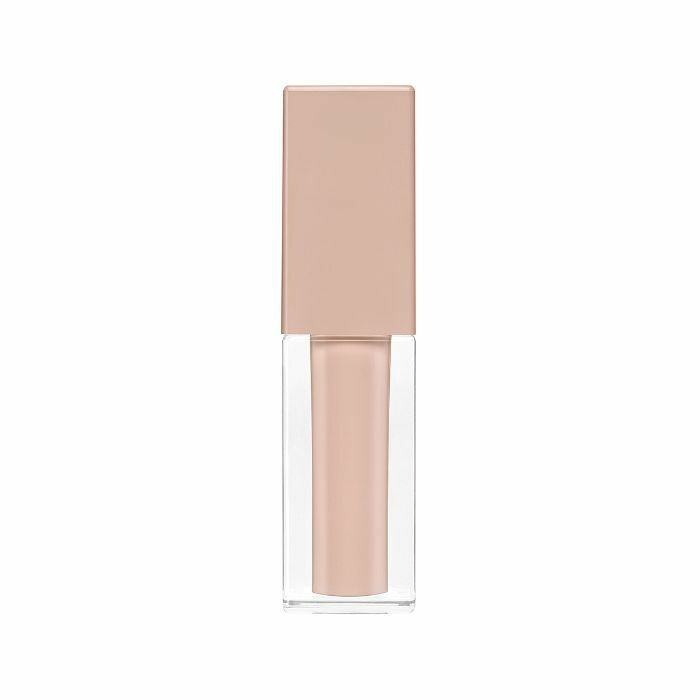 It offers the perfect sheer-to-medium finish when applied that way, looking glowy and not at all caked on. To be honest, I'm as surprised as you are. I hadn't ever tried this concealer until I had to get ready in the office one day in a pinch. We had a set of samples in the beauty closet, I chose a peachy shade to offset my dark circles, and the rest is history. 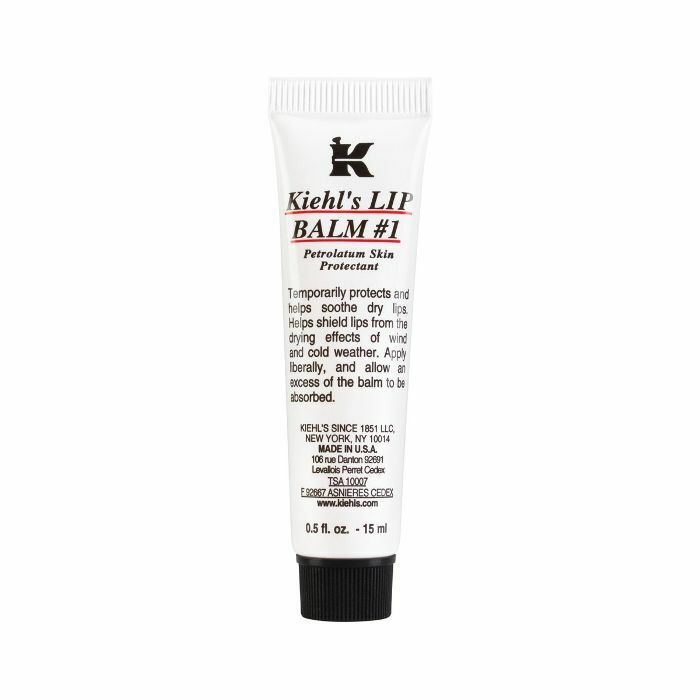 The formula is really smooth and light, it goes on easily, and it blends flawlessly. The most miraculous part, however, is it doesn't settle into my creases like most concealers do. My ride-or-die offering is Tarte Double Duty Beauty Shape Tape Contour Concealer ($27), but it feels too heavy and matte for daytime. Instead, KKW's offers up an easier, more illuminating option, and I'm into it. 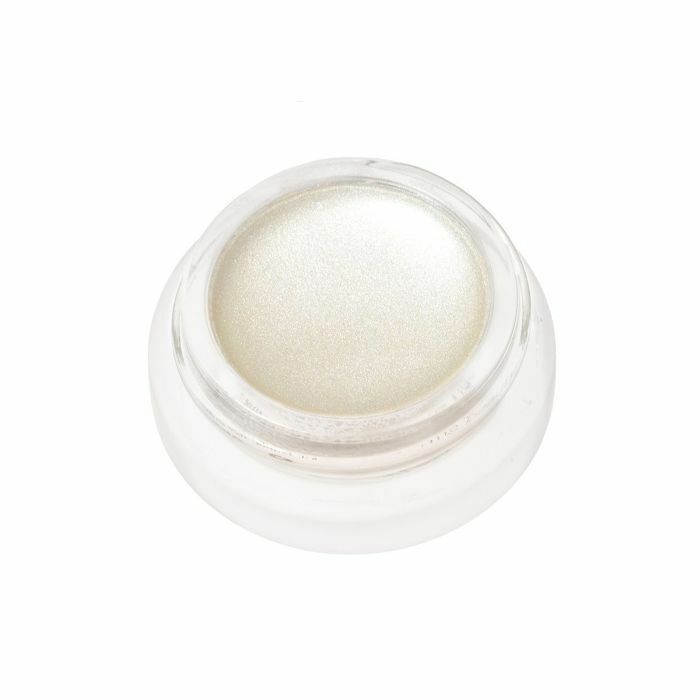 I use my fingers to apply RMS Living Luminizer ($38). It never dries down (it has a coconut-oil base), and it has this super-natural-looking pearlescent finish. I could go on for days about how much I love it, only I've already done that here and here. It's a tried-and-true beauty-editor favorite, and I can't get enough. I apply it everywhere the light hits, and I won't ever stop—cheekbones, brows, Cupid's bow… wherever. I just tap it on, tap again to blend, and it's good to go. It stays put and shines until you wash it off. I'm always looking for the perfect ashy, almost gray shade when it comes to filling in my eyebrows. Because my hair is a cool-toned dirty blonde, richer browns always read red. 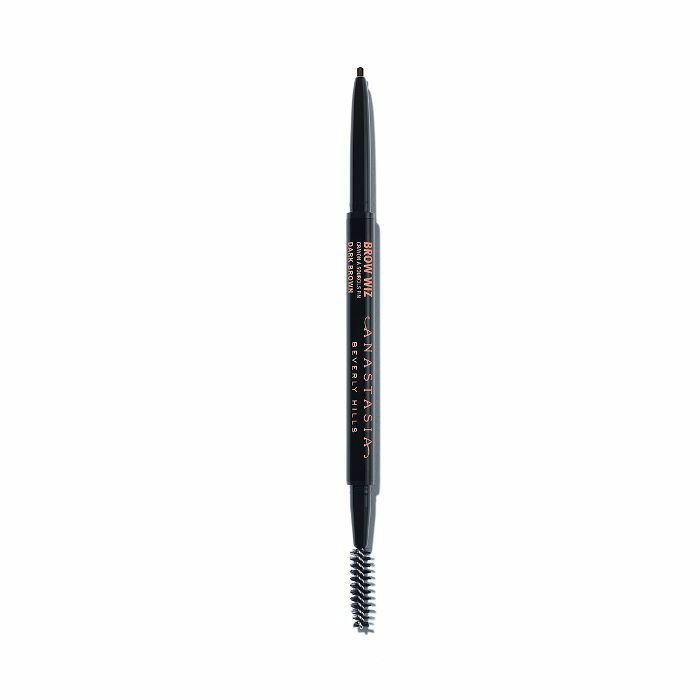 Anastasia Beverly Hills Brow Wiz offers the perfect color for my complexion, as well as a super-fine tip for the most natural-looking finish. I make a few wispy strokes to imitate my brow hairs and fill in any bare spots in seconds. 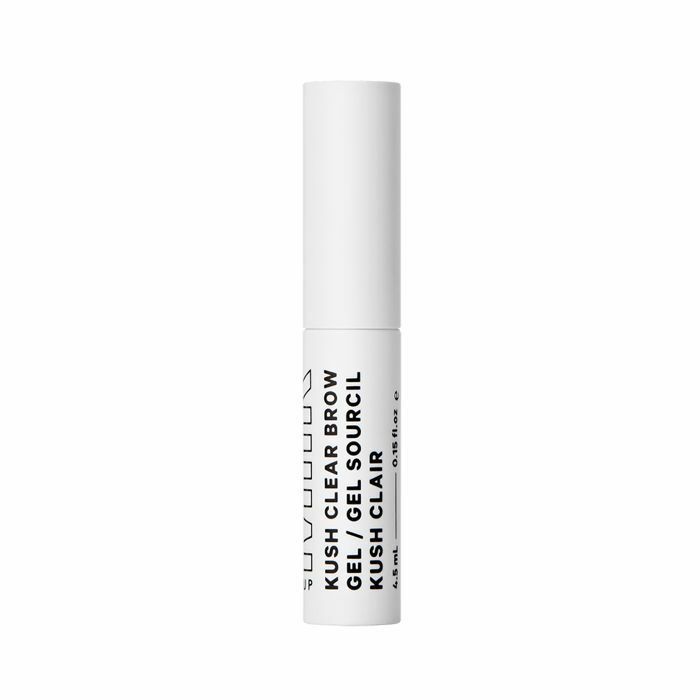 I prefer clear brow gel to tinted ones, usually because the formula offers more hold and gives each hair a nice sheen post-application. This one, Milk Makeup's vegan formula, is flexible but still locks your brows into place and keeps them looking natural and feathery. It's a blend of cannabis oil to condition your hair and nix flaking or stiffness, and the tree-shaped brush deposits the product evenly over each hair. 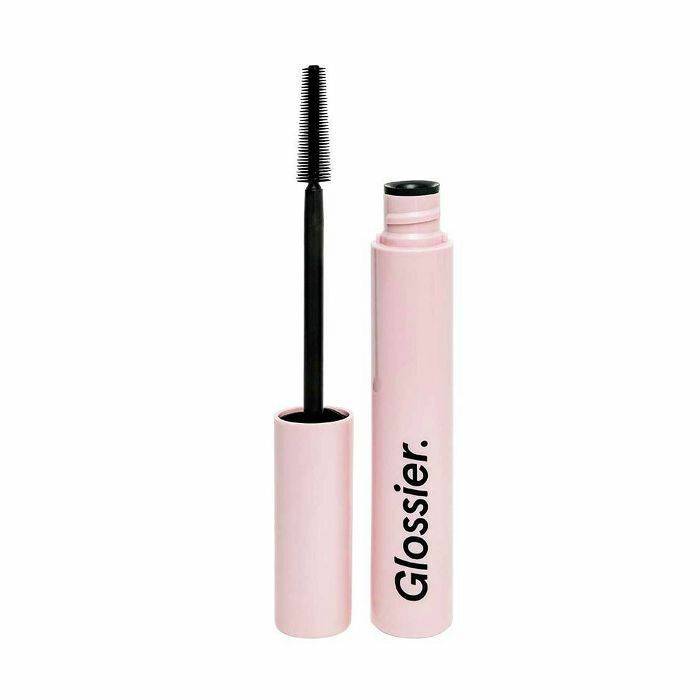 Glossier's mascara has a plastic brush (great for separation and length) and one of those tight tubes that allow the opening to remove any excess product. And, each time I swipe it on, I'm amazed with the soft, barely there formula. The first time I tried it, I thought it was too natural-looking (I like a lot of lashes), but for daytime, it really does offer a gorgeous, long, separated look. The best part for me, though, is the fact that it doesn't budge. I have watery eyes and most mascara formulas are too smudgy—leaving flakes and black excess below my lower lashes. This one has never done that. A use about a million lip balms in a day (my bag, coat, and desk are filled with them), but this one is my favorite du jour. Of course, it works to hydrate chapped or cracked lips, but it also soothes and smoothes using squalane, lanolin, wheat germ oil, and vitamin E. I love how shiny it is—which means I can substitute it in place of a lip gloss—and how long it lasts on my lips. To tie everything together (and make sure nothing looks to caked-on or heavy), I finish each time with a few mists of Tatcha's Luminous Dewy Skin Mist ($48). The spray-on moisturizer offers up a boost of soothing hydration and gives your skin this incredible luminous quality—keeping everything natural-looking and making sure your skin shines through all the makeup. It is formulated with more than 20% botanical oils and humectants to leave your skin dewy, as well as Okinawa red algae and hyaluronic acid to keep the radiance going all day. If ever you feel your look ended up too powdery or thick-looking, use this to set everything and bring it back to shiny, healthy-looking skin.